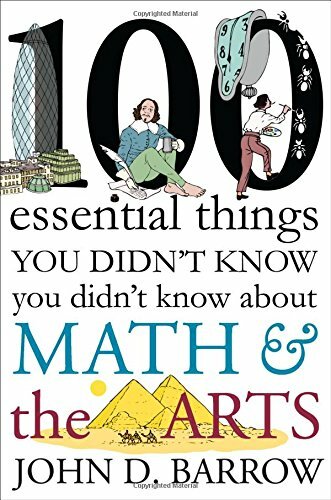 9780393352221 | W W Norton & Co Inc, January 18, 2016, cover price $16.95 | About this edition: An entertaining and illuminating collection of 100 surprising connections between math and the arts. 9780393246551 | W W Norton & Co Inc, February 23, 2015, cover price $26.95 | About this edition: A fascinating exploration of math’s connection to the arts. 9780393345506 | Reprint edition (W W Norton & Co Inc, June 24, 2013), cover price $16.95 | About this edition: An entertaining, eye-opening guide to what math and physics can reveal about sports. 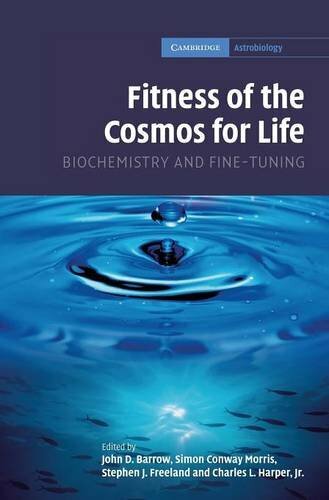 9781107406551 | Reprint edition (Cambridge Univ Pr, August 16, 2012), cover price $109.99 | About this edition: This highly interdisciplinary 2007 book highlights many of the ways in which chemistry plays a crucial role in making life an evolutionary possibility in the universe. 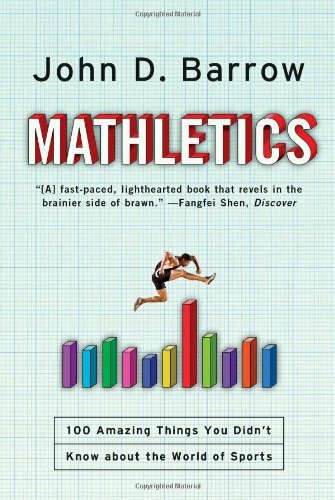 9780393063417 | W W Norton & Co Inc, June 18, 2012, cover price $26.95 | About this edition: An entertaining, eye-opening guide to what math and physics can reveal about sports. 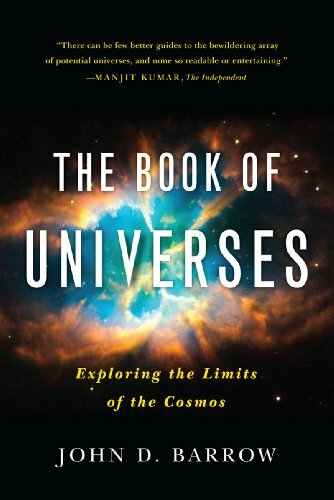 9780393081213 | W W Norton & Co Inc, June 20, 2011, cover price $26.95 | About this edition: An unforgettable tour of the strange and wonderful universes that modern physics posits might-just might-be out there. 9780393343113 | W W Norton & Co Inc, June 11, 2012, cover price $16.95 | About this edition: “There can be few better guides to the bewildering array of potential universes, and none so readable or entertaining. 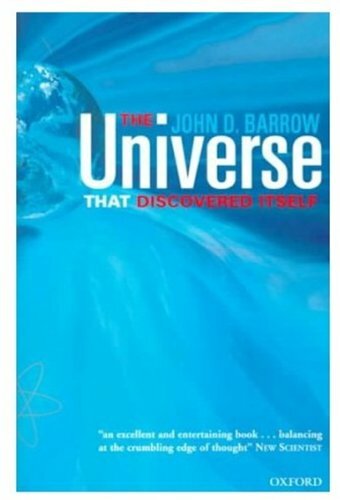 9781847920980 | Vintage Uk, February 3, 2011, cover price $32.75 | About this edition: This is a book about universes, a story that revolves around a single unusual and unappreciated fact: that Einstein's famous theory of relativity describes universes -- entire universes. 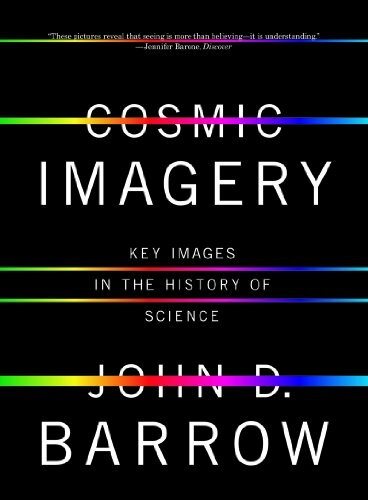 9780393061772 | W W Norton & Co Inc, September 21, 2008, cover price $39.95 | About this edition: A remarkable book tracing the history and influence of nearly two hundred iconic images that changed human conceptions of the universe and our place in it. 9780393337990 | 1 edition (W W Norton & Co Inc, December 14, 2009), cover price $19.95 | About this edition: “Dozens of short essays, each prompted by one of science’s visual creations . 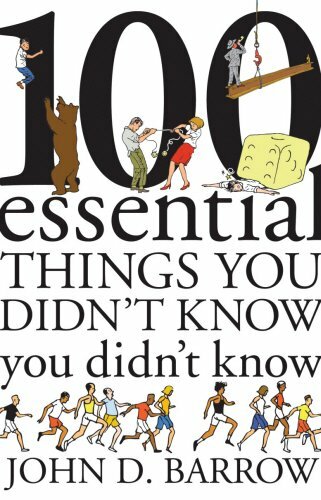 9780393070071 | W W Norton & Co Inc, May 18, 2009, cover price $25.95 | About this edition: Eminent cosmologist and writer John D.
100 Essential Things You Didn't Know You Didn't Know: Answered! 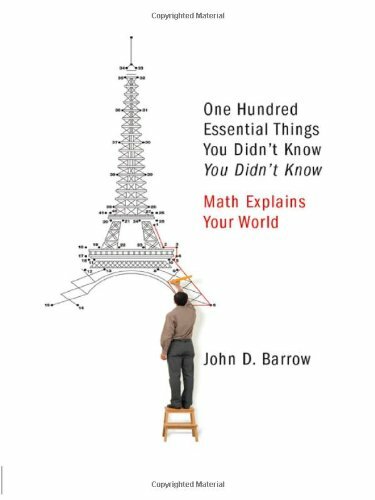 9781847920034 | Gardners Books, October 16, 2008, cover price $15.55 | About this edition: Mathematics can tell us things about the world that canât be learned in any other way. 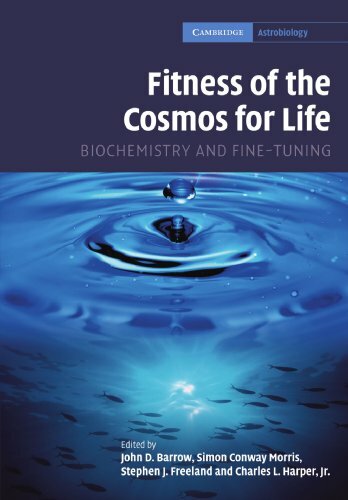 9780521871020 | 1 edition (Cambridge Univ Pr, January 14, 2008), cover price $149.99 | About this edition: This highly interdisciplinary 2007 book highlights many of the ways in which chemistry plays a crucial role in making life an evolutionary possibility in the universe. 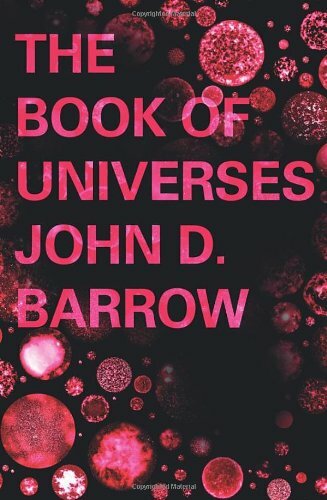 9780192807212 | Oxford Univ Pr, July 26, 2007, cover price $29.95 | About this edition: Published in 1991, John Barrow's Theories of Everything was hailed as "a mind-boggling intellectual adventure" by Publishers Weekly and as "an exhilarating journey. 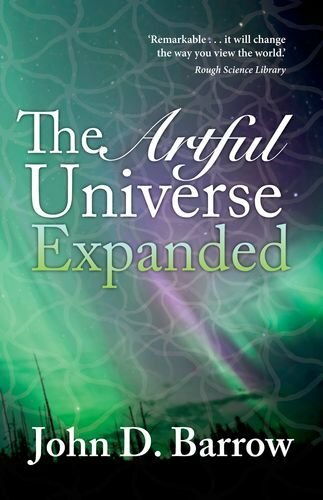 9780199548170 | Reprint edition (Oxford Univ Pr, November 12, 2008), cover price $19.95 | About this edition: Will we ever discover a single scientific theory that tells us everything that has happened, and everything that will happen, on every level in the Universe? 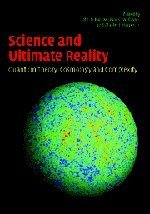 A leading mathematician, cosmologist, and author of The Constants of Nature furnishes an eye-opening study of the concept of infinity, tracing the history and meaning of infinity, from ancient times to the present day, and examining the diverse permutations of the infinite and their influence on the human sense of the world around. Reprint. 10,000 first printing. 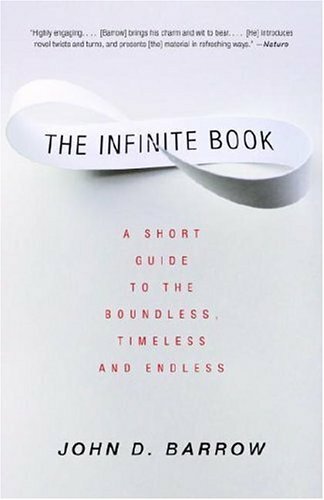 9780375422270, titled "The Infinite Book: A Short Guide To The Boundless, Timeless, and Endless" | Pantheon Books, August 2, 2005, cover price $26.00 | About this edition: Explores the concept of infinity, tracing the history and meaning of infinity from ancient times to the present day, and examining the diverse permutations of the infinite and their influence on the human sense of the world around. 9781400032242 | Reprint edition (Vintage Books, September 12, 2006), cover price $18.00 | About this edition: A leading mathematician, cosmologist, and author of The Constants of Nature furnishes an eye-opening study of the concept of infinity, tracing the history and meaning of infinity, from ancient times to the present day, and examining the diverse permutations of the infinite and their influence on the human sense of the world around. 9780099443728 | New edition (Vintage Uk, April 1, 2006), cover price $15.95 | About this edition: Infinity is a strange idea. 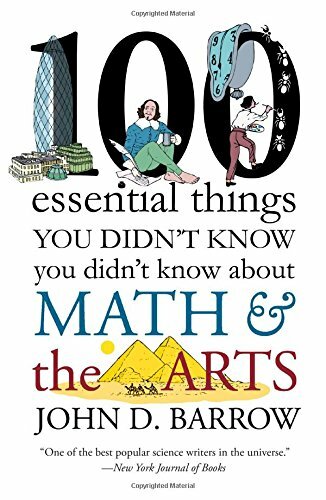 9780192805690 | Oxford Univ Pr, July 15, 2005, cover price $48.00 | About this edition: Our love of art, writes John Barrow, is the end product of millions of years of evolution. 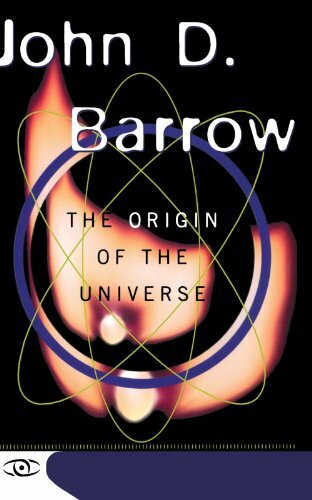 9780199601332 | Reprint edition (Oxford Univ Pr, March 15, 2011), cover price $24.95 | About this edition: Our love of art, writes John Barrow, is the end product of millions of years of evolution. 9780521831130 | Cambridge Univ Pr, August 30, 2004, cover price $110.00 | About this edition: This preview of the future of physics comprises contributions from recognized authorities inspired by the pioneering work of John Wheeler. 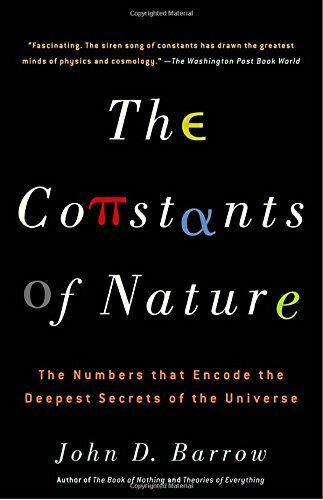 A leading physicist and author of Theories of Everything describes what the constants of nature--the numbers that define the universe--tell us about the inner workings of the world around us and reveals how, despite our expertise at measuring the values of such constants, we cannot explain or predict them. Reprint. 15,000 first printing. 9780375422218 | Pantheon Books, January 1, 2003, cover price $26.00 | About this edition: A physicist describes what the constants of nature reveal about the inner workings of the world and explains how, despite our expertise at measuring the values of such numbers, we cannot explain nor predict them. 9781400032259 | Reprint edition (Vintage Books, March 1, 2004), cover price $17.00 | About this edition: A leading physicist and author of Theories of Everything describes what the constants of nature--the numbers that define the universe--tell us about the inner workings of the world around us and reveals how, despite our expertise at measuring the values of such constants, we cannot explain or predict them. 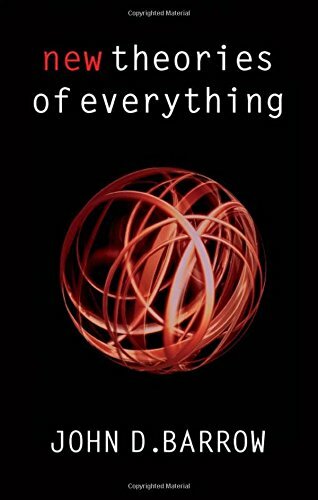 A leading mathematician and cosmologist explores the concept of nothingness, from the origins of zero in ancient India, through changing ideas about 'nothing' from ancient Greece to the present day, to attempts by modern mathematics, cosmology, theology, and physics to explain the role of 'nothing' in the structure of the universe. Reprint. 17,500 first printing. 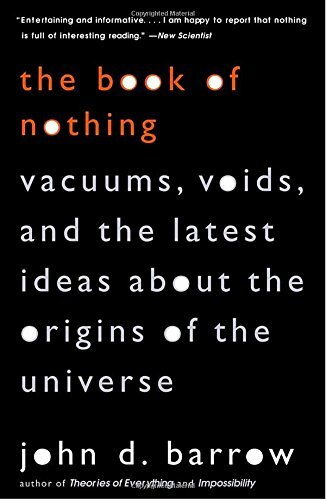 9780375420993 | Pantheon Books, April 1, 2001, cover price $27.50 | About this edition: Explores the concept of nothingness, from the origins of zero in ancient India to attempts by modern mathematics, cosmology, theology, and physics to explain the role of 'nothing' in the structure of the universe. 9780375726095 | Reprint edition (Vintage Books, August 1, 2002), cover price $15.95 | About this edition: A leading mathematician and cosmologist explores the concept of nothingness, from the origins of zero in ancient India, through changing ideas about 'nothing' from ancient Greece to the present day, to attempts by modern mathematics, cosmology, theology, and physics to explain the role of 'nothing' in the structure of the universe. 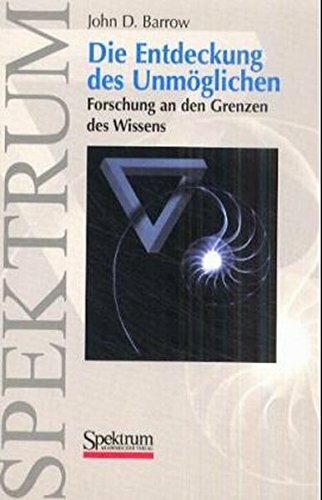 9783827411105 | Spektrum Akademischer Verlag Gmbh, March 6, 2001, cover price $29.99 | About this edition: Warum ist ein Ãberschreiten der Lichtgeschwindigkeit unmÃ¶glich? 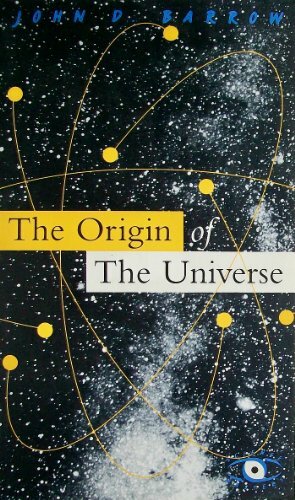 9780192880413 | Oxford Univ Pr, May 1, 2000, cover price $17.95 | About this edition: The origins of life on earth, the workings of the human mind, the mysteries of the Universe itself-profound questions such as these were once the province of philosophy and theology alone. 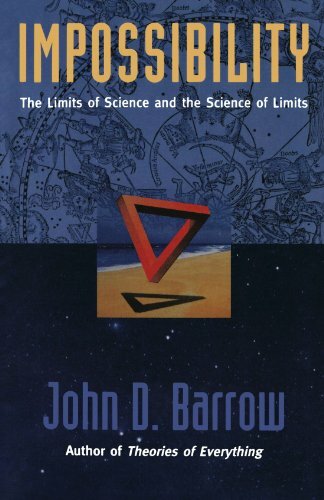 9780192862006 | Oxford Univ Pr, May 1, 2000, cover price $16.95 | About this edition: Are there really laws of nature out there waiting to be discovered? 9780195130829 | Oxford Univ Pr on Demand, October 28, 1999, cover price $39.99 | About this edition: In Impossibility, John D.
9783827405265 | Gardners Books, March 23, 1999, cover price $12.35 | About this edition: Am Anfang war Symmetrie im Inferno des kosmischen Urknalls, mit dem unsere physikalische Welt begann. 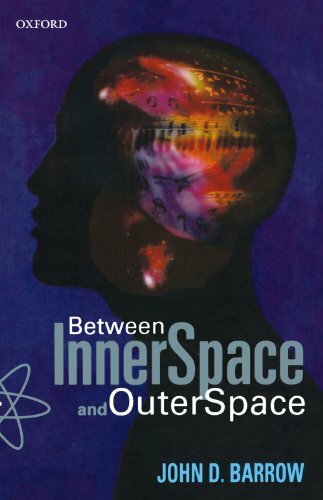 A study of the beginning of time, space, and matter speculates on the nature of time, the existence of wormholes, and the concept of the 'inflationary universe,' noting the significance of recent COBE satellite observations. QPB & Astronomy Main. BOMC, History, & Lib of Science Alt.